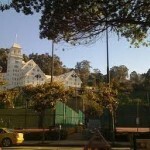 Berkeley is located in Alameda County on the eastern shore of the San Francisco Bay in northern California. It has a population of about 115,000 residents. 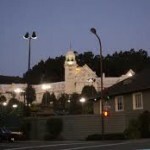 The building that today functions as the Claremont Resort and Spa was built in 1915 by Bill Thornburg after he struck it rich during the Gold Rush. Mr. Thornburg built the castle for his wife on 13,000 acres at the top of a hill. Mrs. Thornburg died shortly after their daughter married. Bill Thornburg then sold the castle to the Ballard family. On July 14, 1901, the castle burned to the ground. The Claremont Hotel built in the early 1900’s and opened its doors in 1915 on the site where the Thornburg castle once stood. 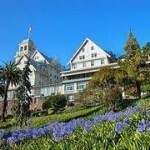 The ghost of Mrs. Thornburg is said to haunt the Claremont Resort. Some visitors report having strong feelings of uneasiness in the building. 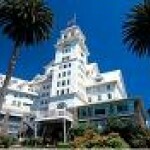 The ghost of a 6 year old girl who died in the hotel is said to haunt the building as well. 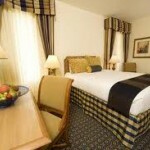 She especially makes her presence known in room 422 where she is said to turn the television on and off. Some guests and Claremont Resort staff have reported this girl’s manifestation throughout the fourth floor. Her disembodied voice has been heard calling out “mommy” from time to time. 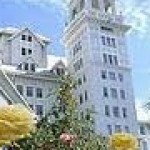 According to one report, an old woman purportedly haunts the fourth floor of the Claremont Resort. Some guests have apparently had trouble opening their door when they try to leave the room. Guests on the fourth floor have reported feeling as though they are being suffocated when they wake up in the middle of the night. It is as though someone is sitting on their chest, according to some reports.